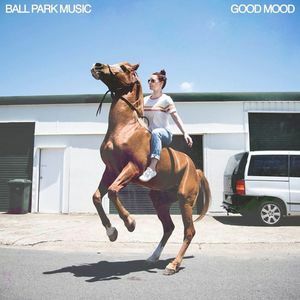 Ball Park Music have announced their GOOD GOOD MOOD TOUR, taking their latest album GOOD MOOD and favourite hits to regional towns and cities all around Australia. Joining them on the road will be indie singer-songwriters Tia Gostelow and Butternut Sweetheart. 2018 was a tremendous year for Ball Park Music. Their fifth record GOOD MOOD debuted at #6 on the ARIA chart and received ARIA Award nominations for Best Cover Art, Best Producer and Best Engineer. triple j listeners voted it their #1 album of 2018 in triple j’s Album Poll. The euphoric single ‘Exactly How You Are’ landed at #18 on triple j’s Hottest 100 of 2017 and ’The Perfect Life Does Not Exist’ came in at #39 on Hottest 100 of 2018. Their national tour with San Cisco saw them play the biggest venues of their career, taking on hometown venue the Riverstage, Big Top in Sydney, Fremantle Arts Centre and selling out Festival Hall in Melbourne. Regional fans, don’t miss this unforgettable live show when it comes to town.